In a slightly distorted image we see the ending of the Women’s Championship match at Summer Breakdown. Maya And Annie were up on their feet trading blows for exhausted blows at each other. The image fast-forwards as we now see Roller X spinning Annie around and hitting her Cursed Skull on Annie. Roller X proceeds to set up the ladder in the ring as she gets to her sister edging her to make the climb for the belt. The image skips again as Roller X stares at her sister after what she just said to her. In a swift moment she pulls her in and drops her with a Cursed Skull! The scene continues to show Roller X looking over her downed sister before fizzling to static. When it returns all we see is a darkened area and part of what could of been anything as it was to close and out of focus. Slight muffled sounds that the ear’s couldn’t quiet place were coming out from beyond as every so often it’d increase in volume. Slowly, the camera is picked up as it’s finally able to focus on someone, this being Roller X as she sits in a area with a very low ceiling. The angle isn’t exactly perfect either so it was hard to tell the exact demotions of the darkened area. Roller X stretched out in her confined space. A little ironic actually. Roller X then smirked as she angled the camera back to herself. Roller X smirks slightly as she lowers the camera slightly and we can catch what looked to be a few steel chairs laying down on the floor to her right by them was possible the handle of a kendo stick but we only get a slight glance as Roller X reposition the camera to her other hand and focuses it back on herself. Roller X swings around her body and as she does we see a few more glimpses of the area they are in despite the darkened light we could make out a few folding tables and even what looked to be a ladder. As Roller X repositioned the camera we saw what could of been a black curtain as small pieces of light seemed into the area from the edges. Roller X’s feet were also kicked up as she was now laying on her stomach her front prompt up by her arms. Roller X rolls her eyes as her feet lightly kicked in the air. Roller X nods her head lightly before just shrugging her shoulders. Roller X’s eyes narrowed slightly as she continued to look into the camera. 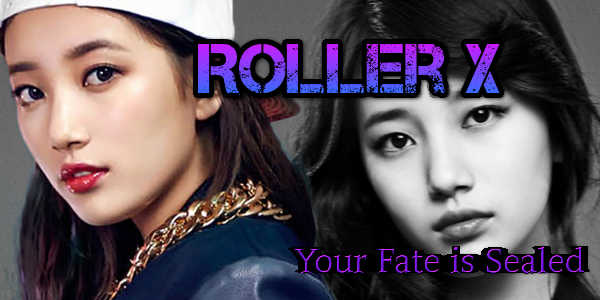 Roller X suddenly stopped as she held up her hand to her mouth in a mock shocked expression. Roller X only chuckled as she rolled her eyes. Roller X laughs at her own thought. She could just picture it. Roller X smirks as she repositions herself yet agian. Even a small thud was heard from above her as that background noise grew a little louder. But Roller X paid it no heed as she now sat up again with her legs crossed in front of her. She then smirked as she raised one of her arms to the side. Roller X rolled her eyes as she swung the camera around so that it was now facing her directly. Shaking her head, Roller X continues. But as she does, there’s the sound of muffled music coming from outside her little room. The other noises are now going in beat to this song. The song surrounding them continues on as Roller X actually slightly looks up as a smile spreads upon her face. She then looks back down at the camera as her smile turns into a malicious grin. Roller X places the camera down on the ground in front of her as she hums the final line of ‘there aren’t no strings on me’ as she turns around and crawls out underneath the current. When the current is lifted it’s all to clear as the bright light floods the dimly lit area as what was once muffled music and noise becomes the cheers of the crowds in the MMSW arena and the song of "C'est La Vie" by B*Witched.